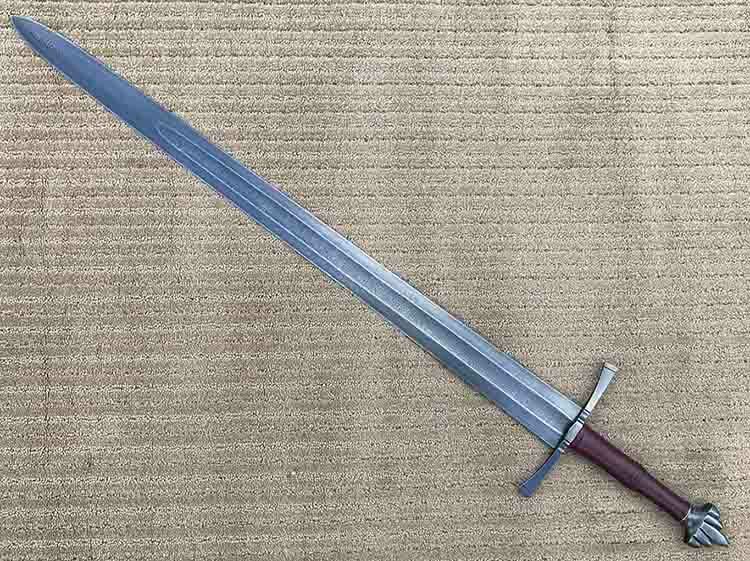 This may well be the ultimate fantasy Viking Sword. 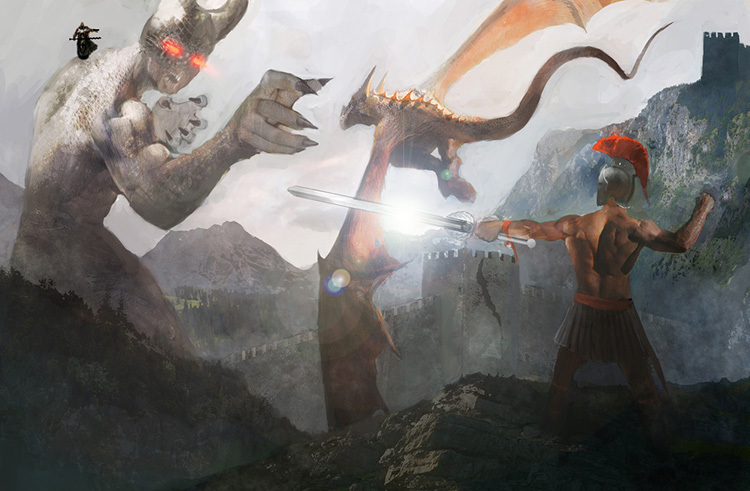 It's creation came about as a lead in to Sword Buyers Guide Ltds' latest MAJOR project, creating an original fantasy world, characters and stories to compliment original fantasy sword designs submitted by the SBG community that we are calling "Legendary Swords: The Eletreus Project"
Our first project with Longship Armoury was the creation of the so called 'Furia: Sword of the Apocalypse' - an SBG exclusive design made by the legendary sword maker, John Lundemo - who has been making swords now for over 30 years and is one of the pillars of the US sword making fraternity. As usual with their legends line, it was a limited edition of only 20pcs to EVER be made - the same limit which will apply to the Fantasy Viking Sword, Odin's Oar.. This makes it a true collectible, as there are far too many 'limited edition' runs of 2,000 swords at prices in the high hundreds to the thousands, and which we feel is hardly 'limited'.. The basic concept was fairly simple - create a sword from the most modern and tough steel currently available and fit it into an apocalyptic dystopian future backstory. So with the help of talented DC comics artist, original concept art was created along with a character - Furia..
Now in the summer of 2017, a new project started to take shape. The genera idea behind it all was to create a showcase for Fantasy Sword makers and artists, and tap into the sword design skills of the SBG community to create some original designs, and weave all the stories into a single, coherent Fantasy World that came to be known as Legendary Swords: The Eletreus Project (Eletreus being the name that the community decided upon for our fantasy continent). And behind the scenes, as the first designs were being selected and made, and a dedicated site created to showcase them all and provide rich backstories, James Fang at Longship made contact with us and started to discuss the next possible collaboration.. But a Fantasy Viking Sword unlike any other - for it was to be a collaboration between two true legends of the sword industry, John Lundemo and KC Lund that very quickly begun to take on a life of its own..
KC Lund is well known for his work with pattern welded steels, most notably a combination of L6 Bainite (one of the toughest sword steels known to man) and O1 Steel (a Manganese steel well known for toughness, hardness and amazing edge retention). KC Lund spotlight on the History Channel from ColburnConsulting on Vimeo. 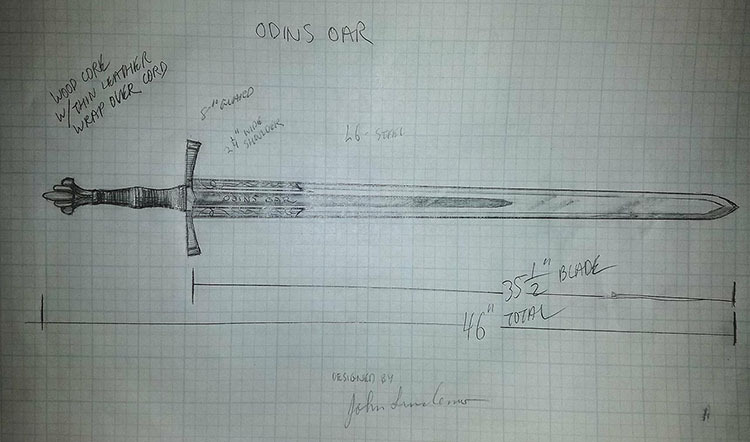 John Lundemo created the basic fantasy viking sword design, which you can see pictured below. 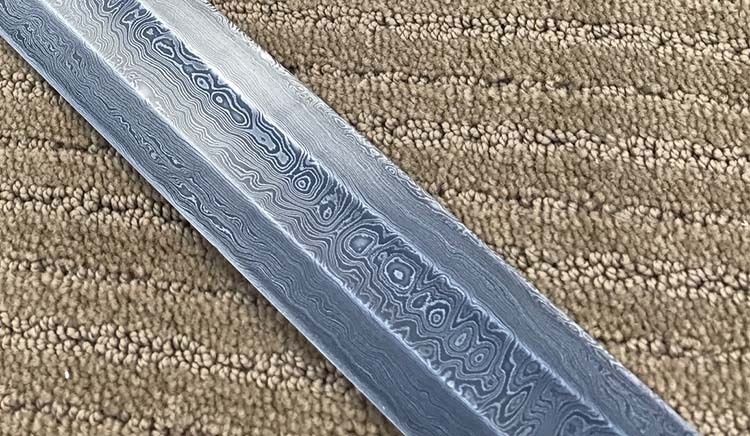 However, with the first collaboration between John and KC - it was decided that the monosteel blade with a few runic inscriptions was out, and in its place, was to the the unadorned beauty of true Damascus pattern welded steel. For the prototype, KC Lund forged the L6 and O1 steel at his workshop until he had a rough blank with a core of almost indestructible L6 steel and martensitic O1 edges for sharpness and edge retention, tempered using his world famous technique in a molten salt bath to obtain the unique bainite micro-structures. "The blade itself is made from a 480 layer pattern welded mix of O1 & L6 Tool Steels, commonly referred to as "Damascus." The blade is heat treated using a method known as "Aus-tempering," which is done with high (1450°F +) and low temperature molten salt baths and extended hold times at low (500°F) temperature. The resulting microstructure is known as Bainite. This microstructure differs from the martensitic microstructure achieved with conventional quench and temper methods more commonly used. A Bainitic microstructure has much higher impact resistance and ductility than a martensitic microstructure of equivalent hardness, perfect for swords. 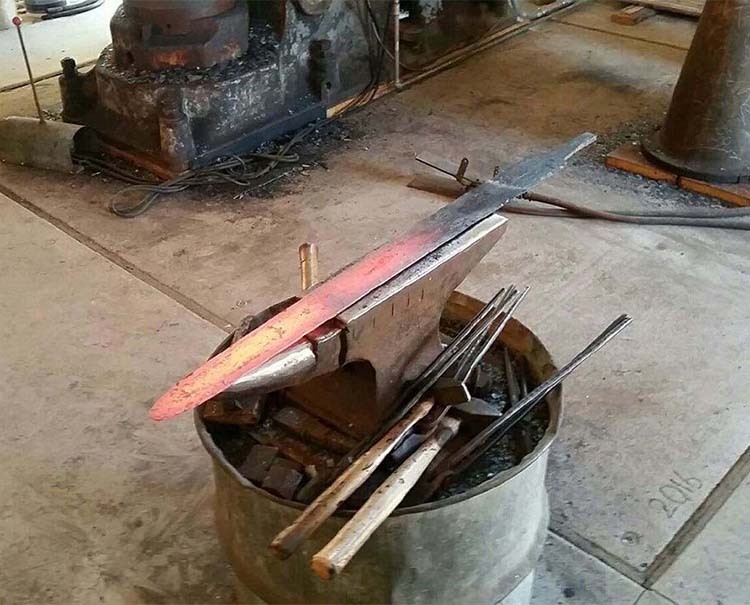 The more expensive and much more difficult to forge alloys, like O1 & L6, are perfect candidates for this method of heat treatment"
He then sent the blank off to John, who shaped it into a Fantasy Viking Sword so and gave it a 'rough' polish so it ended up looking like this..
Then he added the fittings, the master copy of which were hand carved by John out of mild steel and investment cast at great expense in the USA and hand finished by John (due to the cost, very few ferrous cast fittings are made in the USA, but this sword is entirely American made). Finally, it was given a high end hand polish, sharpened until it is truly 'scary sharp' the entire length and the Fantasy Viking sword finished off with a wood core grip, wrapped in oxblood colored leather (it will of course also have a wood core, leather lined scabbard with coyote pelt for that distinctive Fantasy Viking sword look and feel). And THIS is the final result of all that hard work.. The completed 'Oar' in all its glory..
Now you can see why we can confidently call it "the Ultimate Fantasy Viking Sword!" - it is the first of its kind, and as John said "Definitely one of the best swords, if not the best, with which I've been involved over the past 30-some years!" And in addition to all this, at the same time, following a story that James Fang (president of Longship Armoury) and myself agreed upon and worked out, we sent some concept ideas for the character that would wield this Fantasy Viking sword and that would be illustrated by Warren Louw of DC Comics fame and who would make the original poster that accompanies the swords from the Legends line..
A Fantasy Viking Sword with a RICH backstory..
Now unlike Furia, who was never fully developed as a character in her own right but more of an inspirational bit of fantasy artwork designed to represent a sword fighter in a post apocalyptic era, the backstory for this Fantasy Viking sword was extremely deep and found a place in the highly detailed original fantasy world I was creating with the SBG community to give the swords in the Legendary Swords series some REAL character..
As the extent of the backstory is deeply connected to the fantasy world thus created, it is a little redundant to retell it here. But here's the gist of it.. Ever since the 'war in heaven' which transformed the world of Eletrues, there had been a conflict between two powerful opposing forces, the Paragon - first Emperor of the Aelutian Empire and the so called 'DeathKnight' - an evil warrior transformed by the power of a sinister sword called the 'Brand of the Fallen'.. Here is one of their epic confrontations from the so called 'Cataclysmic Wars', around 1000 years before the present day.. 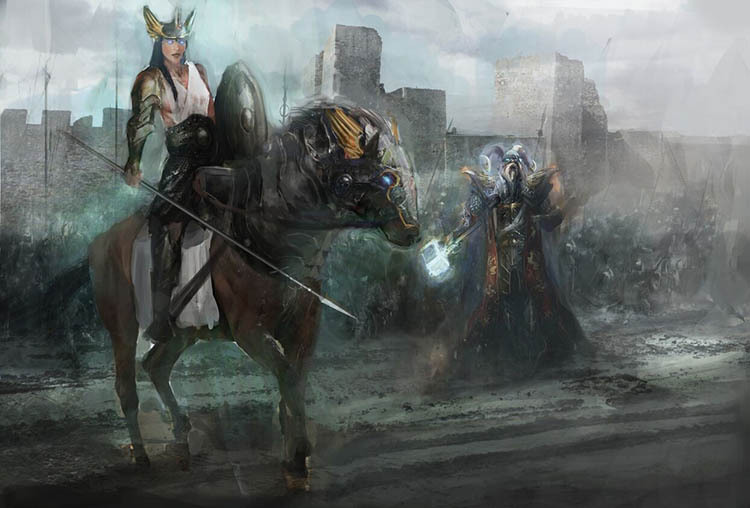 The first Deathknight that arose was finally defeated after several major epic battles and confrontations, and the Paragon founded the Aelutian Empire as a bastion against the evil that was to follow. For this was but the first DeathKnight, soon there came a second one, after the Paragon had passed away and become something of a demi-god figure - and again the world was plunged into a terrible war, though not as bad as the first thanks to the Paragons foresight..
For a while, there was peace. But in the lands of the Northmen (as you may have guessed, rather savage raiders from the frozen northern wastes based on the 'Vikings') 200 years after the time of the first Paragon, promised the warm and fertile Kingdoms to the North by the Demonic Fallen ones, they abandoned their old gods and became increasingly dedicated to the forces of darkness. And in this time, a third DeathKnight secretly rose, and prepared an army that would cause a conflict even more terrible than the Cataclysmic Wars.. The Third DeathKnight who raised his army of Northmen in preparation for an invasion of terrifying proportions. 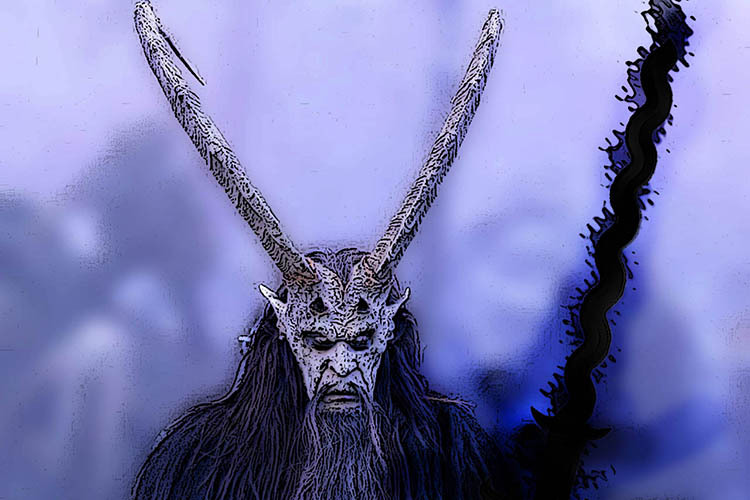 As you can tell, he isn't one of the good guys..
By this time, the proud history of the original Northmen was all but lost, and the last worshipers of the Old Gods like Odin and Tor began to despair.. But one stood defiant, and sought out the God Smith Valkha of the White Volcano - promising her life in exchange for victory against this sadistic usurper of the old ways. A brave Valkhajir (our version of a Valkyrie) warrior named - Runa..
Runa had resigned herself to her fate, and knew that there would be repercussions on the last true followers of the old faith. So before she confronted her destiny, inspired by a vision from the gods of a new and fertile land to the East, in the dead of night her extended family and the true believers stole away into the rough waters to eventually found a new civilization that would be called Stormwater..
And in the morning, challenged the third DeathKnight to a duel - a Holmgang.. 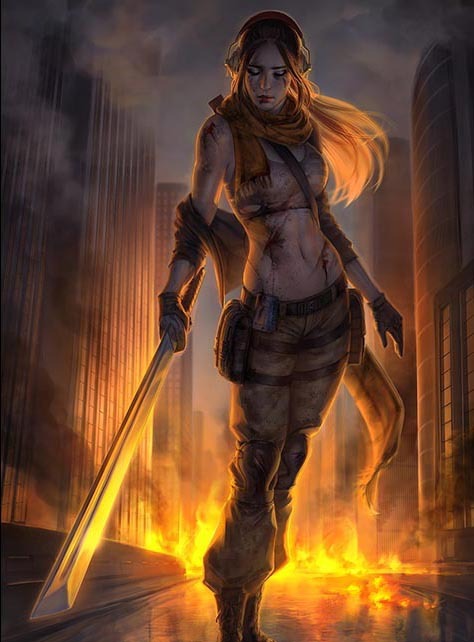 Even if she had managed to kill him, she knew that his fanatical followers would extract revenge - and it was only the incredible power of her demi-god forged sword that allowed her to last against him as long as she did. But as she lay dying from her terrible wounds and the DeathKnight gloated over her, she summoned her last strength and channeled it through the sword, and catching him by surprise, took the DeathKnight with her into death.. Though she paid a high price, most of the people of Eletreus did not know how close they had come to disaster. But the new civilization of Stormwater never forgot Runa the Martyr, and while the followers threw her magical sword into the sea while howling in fury and sorrow for their lost master, it did not rust, nor was it truly lost..
And the legends say that it moves and swims through the stormy seas until there comes a time when it is needed again..
And the legends also say, that this time is coming very, very soon..
Back to Reality: How Much and Where to Buy? 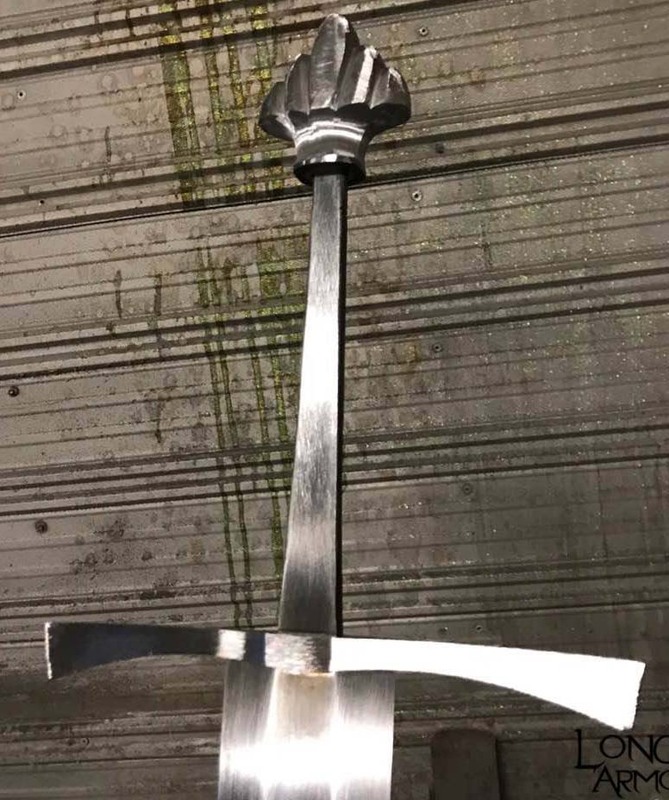 It's not cheap, but it is actually almost half price of what it SHOULD be..
Now it should come as no surprise that a Fantasy Viking sword made with rare and exotic steels by two of the premier US based sword makers around is not going to be in the same ball park price as a mass produced sword made in China, India or the Philippines. 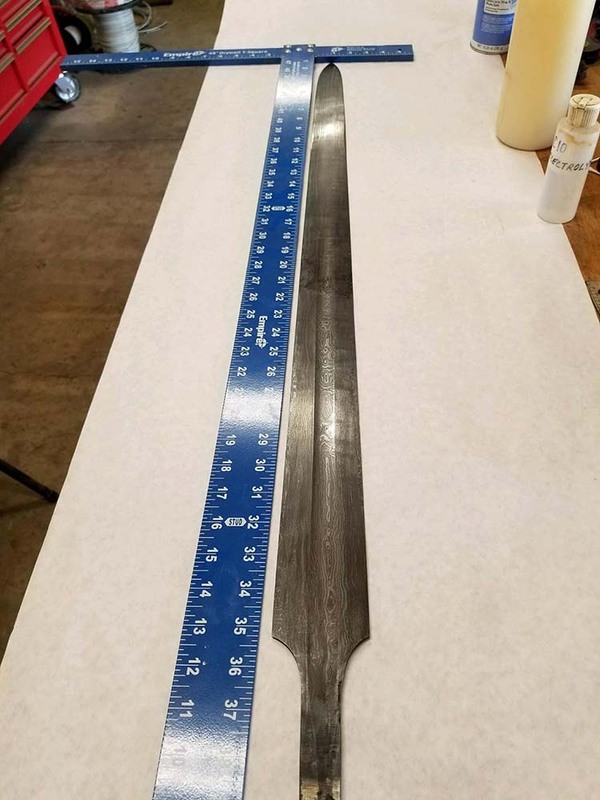 Indeed, if you were to purchase this as a one of custom made sword, a fair price for a sword of this quality and caliber is going to set you back somewhere between four to six thousand dollars. 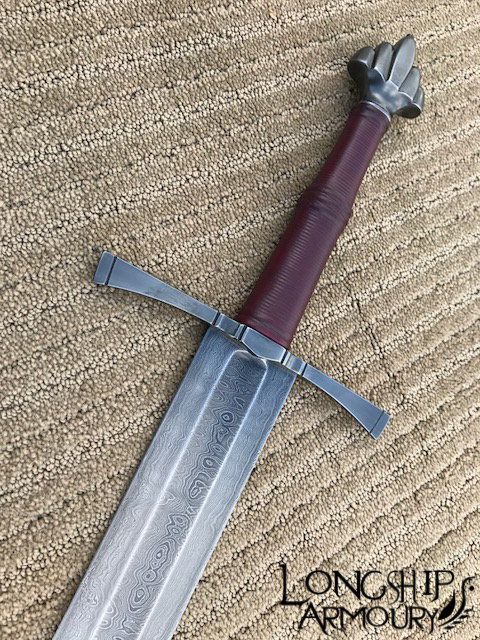 And after factoring in the cost of materials, the many hours spent hand forging, shaping, tempering, polishing and sharpening the blade, plus all the time that goes into the fittings, assembly and making the scabbard, it was costed out to sell for $4,800.. However, because they will be making 20pcs total with 10 being made at a time, and as a kind gesture from KC and John to the SBG community, we have all cut the profits to the bone and made it available for what would usually be the DEPOSIT required at just $2,750 with free worldwide shipping. The only catch is that for the lucky few who can afford this luxurious Fantasy Viking Sword, we need a commitment and full payment up front - and in return - you get it for almost half of its full retail value, and have one of the strongest, most frighteningly effective swords around that is a true collectible and investment. Click here to see it in the store, and if available, secure yours before they are gone for good..